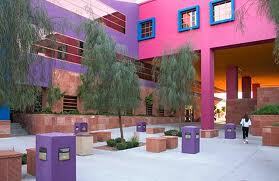 The Clark County School District, as of 2005[update], is the fifth largest school district in the United States. It serves all of Clark County, Nevada, including the cities of Las Vegas, Henderson, North Las Vegas, Boulder City, and Mesquite; plus the census-designated places of Laughlin, Blue Diamond, Logandale, Bunkerville, Goodsprings, Indian Springs, Mount Charleston, Moapa, Searchlight, and Sandy Valley. The district is divided into 7 Regions and, in addition to the general schools, it also operates 25 Alternative Schools and Programs. The district has limited involvement with charter schools and, with the exception of providing some bus service, does not have any involvement with the private schools in the county. R. Guild Gray stated before a Board of School Trustees meeting on February 1, 1956 that the district would be larger than political subdivision in the state of Nevada. R. Guild Gray, who was superintendent at the time of the former Clark County School Dist. No. 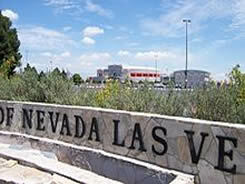 2, believed the district would be larger than the state highway department with 1,300 employees and an annual budget of $7,250,000.The Clark County School District began in 1956 when the Nevada Legislature mandated consolidation of all state school districts into 17 county school districts. This change meant that 14 separate school districts in Clark County would become part of the new Clark County School District. Since the district operates in a valley that has had air quality concerns, it currently operates most of its bus fleet with a fuel mixture containing 20% biodiesel. Due to its location in the Mojave desert, there is not much native material that can be used to create biodiesel fuel, so the district partnered with Biodiesel Industries to use the grease from area restaurants as an additive. Due to tourism, the area generates twice the national average of 3 gallons of grease per resident per year, making this a reliable feed source for biodiesel fuel. A student must register for school transportation when they register for school. A routing and scheduling program determines student transportation eligibility, assigns bus stops to eligible students, and notifies parents of the arrangements. It is not uncommon to expect older students, middle school and high school, to walk to and from school with distances up to three miles one way. For these students, air quality is a concern, as is heat. Temperatures at the beginning of the school year have been known to exceed 100 degrees Fahrenheit. It is suggested that students susceptible to health conditions related to heat and/or air-quality receive transportation to school.